/ Comments Off on Defeat Fake News! 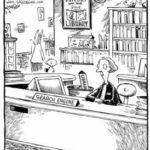 Defeat Fake News –“Friend” a Librarian! Queue at the Reference Desk. “Friend” and support your local library by donating through the library’s Friends organization, or by volunteering, or do both. 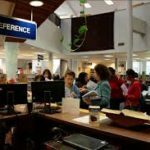 Here are examples of Friends in action at two libraries in Georgia and North Carolina. 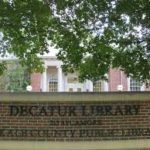 Find a “Friends of the Library” group where you live. 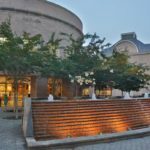 the Charlotte Mecklenburg Library, a non-profit organization dedicated to supporting the Library through grassroots advocacy and fundraising. In 2013, the Friends of the Library joined the newly-formed Charlotte Mecklenburg Library Foundation and became the Friends Council. With the new name came an expanded role: To engage broad community support for the Library through community awareness and fundraising events as part of the Foundation’s overall strategic plan. and to give support to the Friends of the Library at national, state and local levels. Patron and a Reference Librarian at Penn State. This post was first released in my Newsletter at 1900, Wednesday, 17 June 2015, two hours before the Charleston Massacre. In America, race matters. Race mattered when the first Europeans landed in the Americas. Greed led to the enslavement, first of aboriginals, and when that failed, greed led to extermination and eradication. 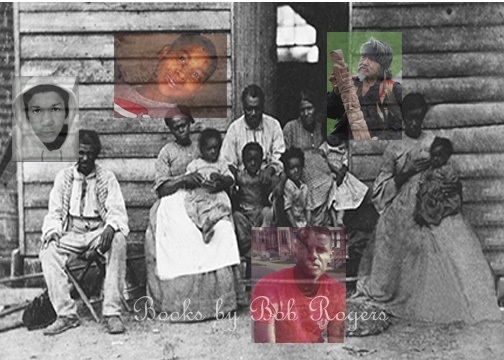 To turn the all-important economic wheels of an agrarian era, the new European Americans enslaved Africans. European Americans of means made laws that codified a new culture based on the artificial construct called race. Over time, class and caste became integral and vital parts of the new order and were layered with race. Implementation and systemic integration of these elements were highly successful. Hate and fear of aboriginals and Africans was taught to succeeding generations enabling poor European Americans to carry out extermination of aboriginals and assist in keeping many African Americans enslaved for hundreds of years – until as recently as World War II. Twentieth century technology and political pressures brought by African Americans, and some European Americans, made contributions that led to the end of the codified foundation of economic oppression, disenfranchisement, and American Apartheid. Nonetheless, in the twenty-first century, there are European Americans who carry on the tradition of handing down to the succeeding generation two things: hate and fear. Do all European Americans do this? No. Of course, not. Are fewer and fewer European Americans participating in perpetuation of hate and fear? I see anecdotal evidence that this is true. professions our country will require for a successful economy, good health, leading technology, abundant food, security, and more. Our teachers are of far greater importance to America’s posterity than the value placed on them by policymakers and the public. 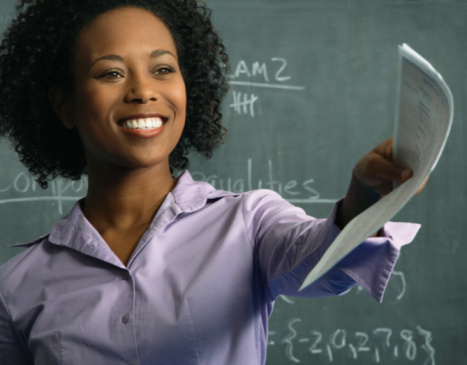 Learn more about what teachers are doing in public high schools from honored young teachers: 2014 National Teacher of the Year Sean McComb and 2014 North Carolina Teacher of the Year James E. Ford. 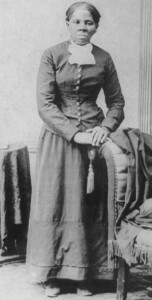 Harriet Tubman was also a spy. An 1876 book, written by former Confederate spy Loreta Valezquez, inspired several of Francesca’s antics, including disguising herself as a male. Valezquez’s book and H. Donald Winkler’s Stealing Secrets are included in the bibliography of The Laced Chameleon. / Comments Off on Low Sodium Diet? Today, Buffalo Soldier Sentinel Ezine is pleased to interview Bob Rogers about his new historical novel The Laced Chameleon. Bob Rogers, an IBMer for thirty-three years, is a former army captain, Vietnam War veteran, and a member of the 9th and 10th (Horse) Cavalry Association. Bob is an avid baseball fan and lives in Charlotte. BSSE: Welcome, Bob. I’m always interested in talking to historical novelists. To start out, will you tell us a little about the historical setting of The Laced Chameleon and the time period it spans? Bob: Thanks, BSSE. It’s my pleasure to visit with you. The Laced Chameleon spans five months. It begins in New Orleans’ wet spring of 1862 and ends in the heat of August. This is the second summer of the American Civil War. The war has gone well for the Confederacy until the spring of 1862 and the emergence of little a known brigadier named Ulysses S. Grant. The book begins the day New Orleans was captured by the Union, April 25, 1862. BSSE: Describe your book for our readers. Bob: The Laced Chameleon is a mystery. New Orleans native Francesca Dumas becomes a rookie homicide detective to avenge the murder of her Caucasian lover. BSSE: How did your book come about? Bob: In America, race matters. Within the artificial construct of race, color and class have mattered for centuries, and still matter today. I wrote about class within the African American community in my first novel. A class issue provided background drama. In The Laced Chameleon, class within the black and white races is primary. My interest in class began during my late teens with mulatto and quadroon stories I heard in South Carolina’s Low Country. In this book, I highlight attitudes and patterns centuries old that contribute to race and class matters in 21st America. BSSE: Can you tell us about the story and a bit about the main characters? Bob: The Laced Chameleon is dramatic irony in the rich tradition of the TV series, Columbo. The protagonist, FRANCESCA DUMAS, is a quadroon courted by moneyed white men. She leads a sheltered life of elegant gowns and lavish balls until a bullet shatters her dream world. While awaiting arrival of the Union Navy atop a Mississippi River levee April 25, 1862, Francesca’s lover is shot dead. She begins her stint as a novice homicide detective to find his murderer. As Francesca’s story unfolds, we learn that she and her lover, a wealthy banker, are bound in a concubinage contract called plaçage, which was an extralegal arrangement that had begun centuries earlier. She was educated in the 1850s by a new order of black Catholic nuns, the Sisters of the Holy Family. Francesca’s father is a French restaurateur who owns her and her mulatto mother. Francesca’s mother teaches her that life in a plaçage arrangement will give her security. When her man is shot dead, Francesca vows revenge though she has no idea how she will find the perpetrator. In the meantime, her investigation into the plight of a homeless hungry white woman and her children lands her work with Union spy-master John Mahan. TROY DODSON joins the Third Louisiana Volunteer Infantry Regiment and sees action in the first year of the Civil War in Missouri. Wounded during the Confederate victory at the Battle of Willow Creek, Troy returns home to New Orleans and becomes a spy for Confederate General Mansfield Lovell. Ambitious and ruthless, Troy commits murder to elevate his family into the planter class. Troy is an avid fan and disciple of Confederate Vice President Alexander Stephens. PHILIPE ROUSSEAU is an aging homicide detective when Union Forces take control of New Orleans. Though beleaguered by local politics, a manpower shortage in the corrupt police force, and Union martial law, Philipe becomes a mentor to Francesca in her stumbling attempt to solve a murder case. In addition to Mahan and Lovell, two other nonfictional characters of note are General Benjamin Butler and Mother Henriette Delille. BSSE: What has been your experience with the subject of your book? Bob: When I was ten years old, I fought Jim Crow, and lost. Actually, my adversary was a white teenager who was more than a foot taller than me and had ordered me off the sidewalk. I refused to move. He beat me until he was tired. I fought my best fight, but was badly beaten. After a time, he realized that beating me would not cause me to yield—not even after suffering a black eye and a bloody nose. I could see barely well enough through my tears and swollen eye to remain on the sidewalk. Once upon a time, there was a “fair” maiden, during my high school days, whose aunt told her that she was wasting her time on me—someone who would not amount to much. The next time it happened, it was more my fear of rejection by a “fair” damsel at college who came from a solid middle class family. My environment had conditioned me to think small and stay in my place—racially and socially (until my early twenties). BSSE: How does it relate to what happens in your story? Bob: Francesca is buffeted by and witnesses the behavior of people who believe in white supremacy. Just as I was, she was taught at an early age what was expected of her race and class and what she must do to survive and thrive. BSSE: What are some of the rules or prejudices you’d like to see changed about your subject? Bob: I hope that someday, we will be able to move out of our comfort zones and reach out to others who do not look the same or believe the same. It is my hope that someday, we can engage, walk in each other’s shoes and supplant common stereotypes. Perhaps, someday we will find ways to move pass racism and classism. BSSE: How did you do your background research? Bob: My research was both primary and secondary. I used the memories of senior citizens to learn which book sources or letters to trust or ignore. In museums and libraries, I found books and documents that led to more books and documents. Though not required, each of my novels has a bibliography on its web page. BSSE: Where do you research information for your books? Bob: I use history books, letters, and interviews. I also use government agencies–State Parks, the National Parks Service, the Smithsonian Institute, museums, public libraries, the Library of Congress, universities, state archives, the National Archives, and of course, the Internet. BSSE: How has the community responded to your work? 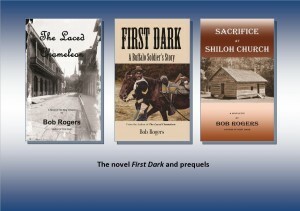 Bob: So far, my first two novels have received five-star reviews. BSSE: How did your work on this get started? Bob: The Laced Chameleon was born in long discussions with my editor about her and my experiences with Jim Crow. We both knew the mulatto and quadroon stories. I decided to dramatize what we knew. BSSE: Where do your characters come from? Bob: Francesca Dumas, the protagonist in The Laced Chameleon, came from a previous novel, First Dark, in which she was identified as a New Orleanian. My novels are dialogue-driven and based on drama in the lives of ordinary people. The main characters are composites based on my research. The minor characters are caricatures of people I have met or observed over many years. Their names match the time period in which they lived and are sometimes taken from members of my family. Infrequently, I include names for characters requested by readers. BSSE: What do you find to be most exciting about the people in your books? Bob: I find discovery to be very exciting. In New Orleans after photographing the old Orleans Ballroom, I happened upon a sidewalk plaque commemorating Mother Henriette Delille, the founder of The Sisters of the Holy Family. That discovery led to an interview with the order’s historian and more books about the period in which The Laced Chameleon is set. On another occasion, while researching the construction and capacity of freight wagons used by merchants before the railroads went very far west, I learned that a former slave and carpenter from Kentucky, by the name of Hiram Young, formed a successful company in Missouri and built wagons. In addition to merchants and freighters, he built wagons for the Union Army. BSSE: How did you get your start in writing? BSSE: What, if anything, lit the “spark” to get you started and keep you motivated? Bob: In a word, it’s remembrance. I hope my novels will entertain and inform this and future generations of our past. I hope my descendants and their peers, for years to come, will discover and remember that we had ancestors who, with meager means, established thriving businesses. My protagonists are ordinary Americans. My characters and their comrades built forts, roads, established small business, and put up telegraph lines. They examined the role models of the day, which, once slaves themselves, had become successful entrepreneurs. BSSE: What are you currently working on? Bob: My next novel is titled Time Was and is set between the latter days of the Gilded Age and the beginning of the Roaring Twenties in America and Europe. I have begun interviews of seniors in their eighties for an untitled novel set between 1945 and 1956 in America and Asia. BSSE: What are your favorite and least favorite things about being a writer? Bob: My favorite two things are discovery and life-long learning. Least favorites include creating marketing copy instead of novels and finding agents, editors, publicists, and journalists. BSSE: What do you do in your spare time, when you aren’t writing? Bob: I am an avid baseball fan. When I get a break, I am in the stadium watching the Charlotte Knights or the University of North Carolina at Charlotte 49ers. 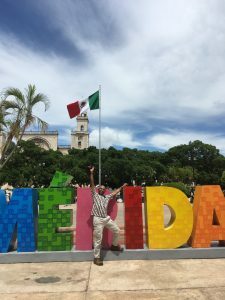 I am also a volunteer IT manual writer and instructor, teaching senior citizens to use computers and the Internet. Every year, my wife and I enjoy planting small spring and fall vegetable gardens. BSSE: What was a recent book you read and would you recommend it? Bob: Isabel Wilkerson’s The Warmth of Other Suns is one of the most impressive books I have read. Other Suns tells a story that African Americans my age and much older have seen, if not lived. The mass migration of a people within the borders of their home country is unusual and have root in an important common motivation. In a nut shell, Wilkerson follows the lives of three people from different states that chose different destinations. She gives an important look back at those who decided not to migrate as well as illustrating the new lives of the migrants and their off springs in the new land. They voted with their feet to leave the American South. Wilkerson’s Other Suns brought back childhood memories of my wanting to leave my native South Carolina and follow my cousins to New Jersey and New York. To tell the truth, my boyhood motive was really to see the Brooklyn Dodgers play at Ebbets Field. I hoped to see my hero, Don Newcombe, pitch. I highly recommend Wilkerson’s book to all Americans–and, to folks beyond our borders. BSSE: How have the books you’ve read influenced the books you write? Bob: In my opinion, Herman Wouk’s Rumors of War and War and Remembrance set the bar for historical fiction. His thoroughly researched novels about World War II were very entertaining with compelling human drama while getting the facts right as he told the story of the war alongside the drama. Herman Wouk’s novels have set high standards for me. BSSE: What do you do when you’re having writer’s block to “shake” it off? Bob: Having had it only once, I don’t have a remedy of which to speak. That once, I tried to make something appear on the page until I fell asleep. I had a dream about a buffalo hunt and awoke at four in the morning. I had dreamed the buffalo hunt scene that appears in First Dark. I wrote it exactly as it appeared in my dream. BSSE: What are your favorite types of books? Bob: As you may have guessed, I like historical fiction. I also like thrillers, detective mysteries, biographies, memoirs, and history. BSSE: What do you enjoy more, writing or discovering other people’s work? Bob: That’s a hard question. I think I like writing more. But, two treasured discoveries come to mind – the Balls. As far as I know, the late Eve Ball of Kansas and New Mexico was not related to Edward Ball of South Carolina linage. Eve’s books were pointed out to me by an Apache historian as trusted sources on the lives and mistreatment of the Apaches. In the archives of a university, I uncovered her letters to C.L. Sonnichen, another trusted source, regarding her interviews in the mid-20th century with Apaches who remembered late 19th century wars against the United States. Edward’s book, Slaves in the Family, gave me rare and fresh insight into the views of families, like his, that held slaves. BSSE: Where can we learn more about The Laced Chameleon and your other novels? Bob: Please visit my web site at bobrogers.biz. Bob: You’re welcome! And thank you! This month, Books by Bob Rogers (BBBR) and advisors launched a crowd funding campaign via the internet website Kickstarter to raise $4,776 in just twenty eight days. The purpose of our campaign is to raise funding we need to launch a set of three scholarly historical novels that promote education, property ownership, and entrepreneurship. Together, these three novels entertain, educate, and highlight successful entrepreneurs. For this reason, the novel, First Dark, is already used by the United States Metropolitan Detention Center in Brooklyn, New York to encourage entrepreneurship. Examples, based on former nonfictional slaves (Hiram Young and Benjamin Montgomery) who created successful businesses, are highlighted in First Dark. In these novels, ordinary people’s stories of living and loving entertain and educate students, seniors, military, teachers, inmates, and other readers. We now have a limited window of opportunity to raise the funds we need as we must decide whether to commit fees to a convention of 20,000 attendees, two bookstores, and a library in New Orleans by June 1. As some of you know, our first novel was published five years ago as the great recession was getting underway. Our funds are obligated for editing and production. Traditional financing opportunities are limited. So, we decided to think outside the box for ways that we could raise the funds we need to complete this project and came up with crowd funding. We invite you to make a pledge and back our project. There are a number of reasons why we want to launch in New Orleans and we hope that one of those reasons might motivate YOU to pledge. First, here’s your opportunity to support American would-be-entrepreneurs by sharing our Kickstarter campaign with your family, friends, and colleagues. Second, BBBR is also a well-established business with a good reputation. Our success might encourage other authors to include an entrepreneurial theme/thread in their works. Finally, BBBR is a strong community supporter. We work hard to promote students in our local community. From time to time, we present classroom lectures in local high schools and universities. If you would like to pledge to our project here is how you do it. Go to www.kickstarter.com and type “The Laced Chameleon” (the title of our book set in New Orleans published in March 2014) in the search box. This will bring up our campaign and lists all of our great rewards. When you pledge you will also be listed as a Backer on the Kickstarter website so people will know that you have supported this project. The amount you pledge will be kept private. We only have until May 30th to reach our goal! If you are going to pledge we hope that you will do so this week to help us keep our momentum going. We would also appreciate your sharing news of our project with others. We need to get the correct information out there. For our Kickstarter campaign to succeed it has to be correctly understood by our reader community and needs to go viral. The clock is ticking! Finally, you may be wondering what happens to your pledge if we don’t reach our goal. Absolutely nothing. If we don’t reach our goal your credit card will not be charged. All the pledges and rewards disappear and we won’t be able to launch at the big convention in New Orleans. (How sad). Our Kickstarter campaign is all or nothing. After all, we can’t go half way to New Orleans if we only raise half our goal. If you have any questions, please call Bob at 704-968-8047 or email him at [email protected] Thanks for your consideration and for all the support you have given us over the past five years! We would not be in business today without the support and friendship of our reader community.